There’s a whole load of coverage via the Organ pages, here’s what it says…..
What is Play about then? 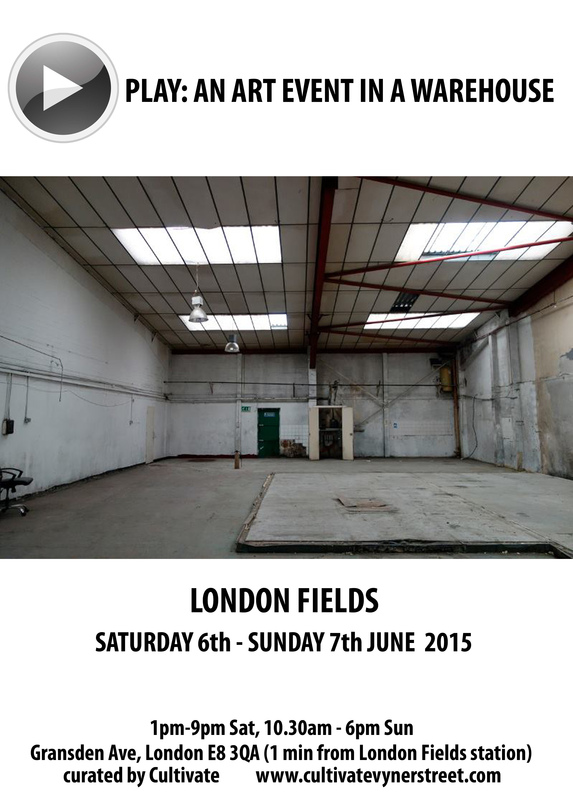 Simple really, a coming together, an art show, an art event and the gathering of artists to create an art exhibition in a soon to be pulled down East London warehouse. 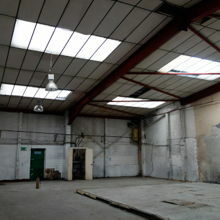 At the start of this year Cultivate, our art space in Vyner Street, closed. The space closed with very little warning, another victim of the property developers, we know it was coming (we thought we might have a little more warning). Of course the current climate, the cultural destruction and gentrification of London makes it tougher for artists to finds spaces and make things happen ourselves, the playground of empty buildings and unwanted spaces enjoyed by the YBAs back in the 90’s are all but gone now, finding rooms to play in is becoming tougher and tougher. Art spaces, like music venues are either being pulled down by uncaring property developers or converted in to hideously expensive gastro coffee pimping soul-sucking food-troughs for those lucky enough to be able to afford to live in this city, so when we find a place we’re going to play..
Shows like this year’s Chinese Open and the events over at Broadway Studios (over in Tooting) as well as events like last year’s We Could Not Agree show in that underground car park that was generally acknowledged as the best thing to happen in London during Frieze week, the left-field art events that tend not to be in formal spaces, places and spaces where artists come together to (almost defiantly) make it happen themselves. if you missed it when it went out live, the News Agents radio show interview where we talk about art, about Play, about Cultivate, the London art scene, the beauty of Huge Baby, running a record label, painting leaves (that some may see in other ways), art drops, affordable art, exclamations, artists being proactive and doing it themselves, community, Peter Predergast and more, the interview on line to listen to in your own time should you wish to. Here’s some photos of the work of some of the artists taking part, click on an image to enlarge or run the slide show…..